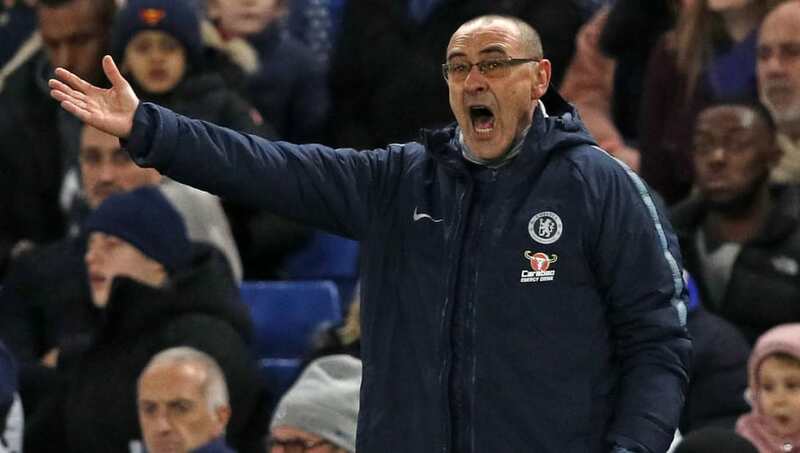 Chelsea manager ​Maurizio Sarri admitted that getting the three points is the most important thing, following the Blues' 2-1 win over Newcastle United. Goals either side of the break from Pedro and Willian gave Chelsea a narrow win despite an uninspiring performance. A Ciaran Clark header levelled the game up for the Magpies who failed to take their chances. Chelsea took the lead early in the first half and controlled the ball for the majority of the game. However, while the hosts took charge of possession, they failed to make enough chances to match their dominance. Sarri added: "We were better in the second half. I’m very happy with result but we need to improve mentally and technically because we lost a lot of the ball in a stupid way." The Italian praised ​Pedro and Barcelona-linked Willian for their efforts throughout the win. Both wingers scored great individual goals and caused Newcastle’s defence a handful of problems. Chelsea head to the Emirates Stadium to play​ Arsenal next Saturday. The Blues can go nine points ahead of their London rivals with a win next weekend, after the Gunners were defeated by West Ham.